This is the third installment in our series providing the definitive guide to a class of IoT connectivity known as LPWAN (low-power wide-area networks). The first post was an overview of LPWAN, including what it is and the benefits of LPWAN technologies compared to other IoT connectivity options. The second post examined the various LPWAN options and players in the space. Now we’ll take a look at one of those options, RPMA. Ultimately, you’ll know whether LPWAN is right for your IoT application and, if it is, how to best move-forward. Ingenu, formerly known as On-Ramp Wireless, is an IoT wireless startup in the LPWAN space that’s been around since 2008. Ingenu has been building the Machine Network, which is a public network that’s built on Ingenu’s proprietary LPWAN technology called Random Phase Multiple Access (RPMA). Many factors are relevant when reviewing and choosing a wireless interface for your IoT solution. In this post, we’ll explain metrics for comparing across various wireless technologies and why those metrics make the most sense for both solution providers and the network providers themselves. Our next post will technical dive into how RPMA actually accomplishes these metrics. Coverage and range are importantly different. Using just range would be like looking at your performance in a sport, say basketball, and only reporting your best game ever: 29 points. Sure, it’s possible for you to score that many points, but what really reflects your performance is your average points per game over some period: a humbler 11 points. This is more like coverage. But what does stating an area is ‘covered’ actually mean? Well, when you have cellular coverage what does that mean to you? It means you make a call or download something and it gets through when you first try. The same applies to LPWAN technologies. Real coverage, or real-time coverage, is the probability that a message is delivered when it is sent. Real coverage must have some probability close to 100%, certainly nowhere close to chance. Topographical conditions as well as wireless conditions impact coverage area. If there are lots of obstacles (which either block or reflect wireless signal) or interference (like that from other technology or even cosmic radiation) then coverage area is reduced. The severity of this interference is called the noise floor and you can learn more about it here. Case studies have shown that RPMA typically had a coverage area of 200 square miles in urban settings, with some of Ingenu’s customers (in Texas oil fields) getting 400 square miles per tower. What this means for network providers is that it may be cheaper to deploy a smaller number of RPMA access points than other LPWAN gateways to provide the same amount of coverage. For example, Ingenu has covered the greater Phoenix area of 1900 square miles with 9 access points. However, while the access points for RPMA are cheaper than for other LPWAN technologies, sensors that support RPMA are also much more expensive, so the cost difference will likely depend on the number of access points and sensors required for the specific application. You can see Ingenu’s current coverage in the US here. Since Ingenu pivoted to a public network business model at the end of 2015, they’ve been building out cities in the US at a rapid pace with licensing partners who are building networks in other parts of the world. In the US, most of the southern US population is covered. Relative to cellular coverage, Ingenu’s coverage falls quite short. However, Ingenu’s coverage is comparable to other LPWAN options like SigFox and LoRaWAN. Here’s a map of SigFox’s coverage and a map of Senet’s coverage, the largest deployer of LoRaWAN in the US. Given Ingenu’s pace of deployment, RPMA is looking to be a strong contender in the future. Capacity is how much usable data in a given time period is available to the solution. This is sometimes called usable throughput, or goodput, and is distinctly different from the datarate. The datarate is typically just a measure of how much the physical chip can process. Goodput is what you get after the firmware and the entire system does their thing. For example, WiFi routers can have a data rates of 600 Mbps, but how often do you experience that? Capacity, as seen from the network provider, is how many devices can be served on a certain data usage plan at the same time for a given access point. Capacity is like a pie. You only have so much pie. Better wireless technologies have more pie and others have less pie. Each device needs pieces that are at least a certain size, say 32 bytes. Capacity tells us how many slices of the capacity pie a network provider can get if each must be 32 bytes large. RPMA has capacity—actual usable throughput to devices—of 38,053 bps available for use per access point. This throughput can be split up across any number of device usage plans, so below we have some example device counts per AP at given data plans. Capacity is the crucial metric that determines how rich of a solution and thus how rich of an experience end users can have. The amount of capacity a wireless system has determines what features a system can support. Security takes capacity. Message acknowledgement (verification that a message has arrived successfully) takes capacity. Firmware updates require capacity. Something as basic as reliable delivery of messages, uses capacity. Because RPMA was built for demanding industries like oil and gas and energy it needed to be secure, highly functional, and feature-rich. Thus RPMA was developed with very high capacity while maintaining long battery life. Capacity is also directional: both uplink (device to cloud) capacity and downlink (cloud to device) capacity are included. RPMA has 100% message acknowledgement which means it needs ample downlink capacity to ensure reliable delivery. Security uses uplink data because the keys themselves—RPMA uses an industry standard 128-bit AES authentication along with a suite of other security guarantees—require data. With RPMA, security is built right in and doesn’t count against your data usage. Firmware updates also require downlink capacity. 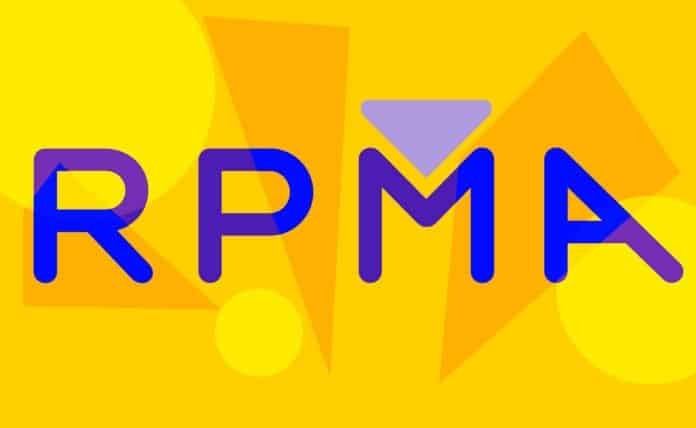 RPMA is the only LPWAN technology that can support background firmware updates, which are vital to remaining secure and future-proof. One key feature that RPMA supports is mobility. For any wireless technology, motion actually changes the condition of the wireless channel and has to be dealt with. RPMA’s ecosystem leans heavily toward the utility space: smart grid, digital oilfield, AMI, etc. Ingenu has devices in verticals including tracking, fleet management and connected car, smart agriculture, and others—check out their device library. Due to a lack of first mover advantage, RPMA’s ecosystem is less mature than competing technologies. Also, as Ingenu is the sole provider of an RPMA access point (gateway equivalent for LoRaWAN), if the goal is to build a custom module or gateway, joining the LoRa Alliance would be more appropriate. Ever tried to extend the life on your smartphone by pinpointing what’s draining the battery? As you probably found out, there are many factors that affect battery life. It’s no different for IoT devices, factors include device on-time, transmit power, the sensor itself, outside temperature, how clear the wireless channel is, how much data is being sent, and so on. Battery life is one of those things that you can’t know for certain until you have the final integrated product in real world conditions. Ingenu has customers who have devices sending daily messages with 20+ years of battery life and others with devices that last closer to 6 months with higher data rates. Again, you can’t know for certain, but with seldom updates and small data packets, you can expect longer battery life fitting for a LPWAN application. Stay tuned for part 4! We’ll take a technical dive into how RPMA actually accomplishes everything mentioned above.